The Henry is a 15-story high-rise adjacent to the historic Portland Armory Building. This half block includes a retail base of approx. 11,000 sq. ft. on the ground floor with three floors of parking above and 11 stories of luxury condominiums. 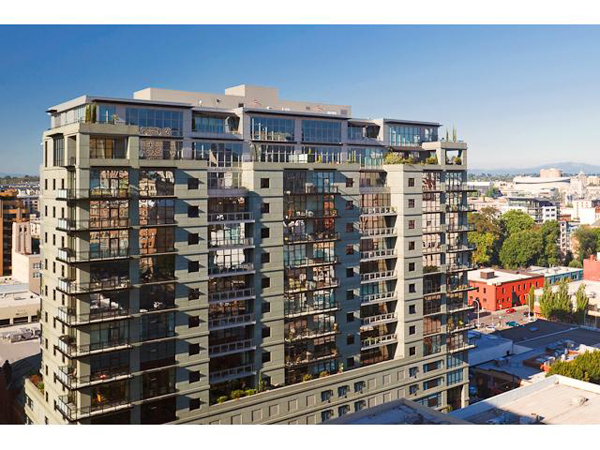 The Henry brings five-star living to a premium city address. Situated in The Brewery Blocks at the entrance to Portland's Pearl District, The Henry offers luxury condominiums from 755 to 2,945 sqft. Amenities include floorplans with defined rooms and graduated ceiling heights; sophisticated entry and lobby; state of the art security; concierge service; and the popular Brewery Blocks location. There are 5 listings found for The Henry. Stunning luxury suite in The Pearl's most desired residence: The Henry! Enjoy 180 degree views of the city and mountains. Elegant finishes throughout with an oversized wrap-around terrace. Hardwood floors with floor to ceiling windows & gourmet kitchen are ideal for entertaining. Concierge services, secure building, and deeded parking space makes this the best in The Pearl! The Henry one of the Brewery Blocks favorite condo associations. located in the heart of everything you could want. Whole Foods. theater, Street Car, shops, Powell's Books, steps to downtown. Huge gourmet kitchen w/honed granite, lots of cabinet s. Master ensuite. Oversized balcony opens from Master and Living area. Heart of Brewery blocks, next to Wholefoods, Powells, etc.